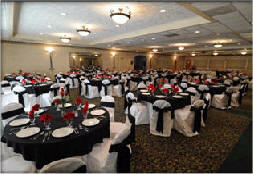 Click here if you are interested in renting our hall for your next event! The Elks would like to welcome you to the St. Mary’s County Lodge #2092 located in California, Maryland. The ELKs provide a full-service Banquet Facility that has been recently remodeled and features a new foyer, coat room, and newly renovated master hall that is tastefully decorated, so there is little need for additional decoration. -RADIOSOMD- SOMD Radio Second Interview with WWP Chairman "John Winters"
SOMD Radio Interview with WWP Chairman "John Winters"